Welcome to Dayton Pest Control, a local, family-owned pest extermination company serving the Greater Dayton, Ohio area. We provide comprehensive residential pest management services throughout Ohio's Miami Valley. Dayton Pest Control practices a balanced, scientific approach to pest extermination that applies integrated pest management principles to residential accounts. This approach allows us to provide effective control of all common household pests while reducing the need for pesticides. We also provide Integrated Pest Management services to particularly sensitive commercial accounts like schools, health-care facilities, and other locations where non-chemical pest control is preferred or required. We're an independent, family-owned pest control company based in the Dayton area, not a franchise or branch of a national company. 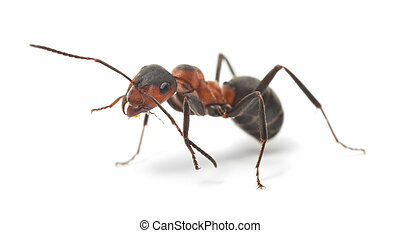 Our family has been providing pest management services to the Dayton area for more than 40 years. We pride ourselves on providing a level of customer service that seems to be going out of style these days. When you call Dayton Pest Control, you get to talk to a local person who lives in your community. We're also able to design customized pest management plans to accommodate your particular pest problems and pest management preferences. We don't need to "run it by the home office." We are the home office. We don't believe in cookie-cutter approaches. If you have a unique situation, we'll come up with a unique solution. Please take a few moments to browse our site, or just contact us if you have any questions. Thank you for your interest in Dayton Pest Control. We look forward to hearing from you. Dayton Pest Control provides high-quality pest and wildlife control in Dayton and Ohio's Miami Valley, including the cities and towns of Beavercreek, Bellbrook, Blanchester, Brookville, Carlisle, Centerville, Eaton, Englewood, Fairborn, Farmersville, Germantown, Gratis, Greenville, Kettering, Lebanon, Lewisburg, Medway, Miamisburg, Middletown, New Lebanon, New Oakwood, New Vienna, Port William, Sabina, Springboro, Springfield, Trotwood, Troy, Union, Vandalia, Waynesville, West Carrollton, Wilmington, and Xenia; and the Ohio counties of Butler, Clark, Greene, Miami, Montgomery, Preble, and Warren.